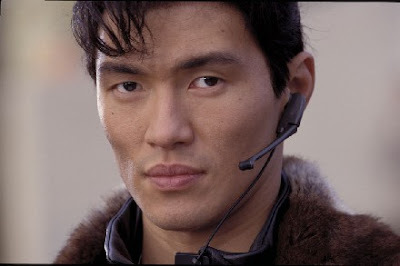 My boyfriend Jen’s boyfriend *Sigh* Our boyfriend, the delicious Rick Yune turns 38 this week. How on earth should we celebrate? Here’s what I’m thinking. What are we waiting for? Let’s get this party started!!! 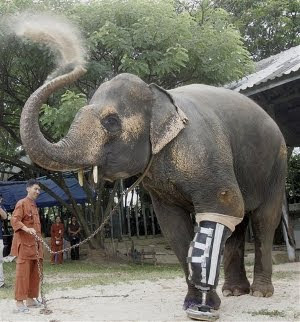 Congratulasians go out to Motola, a Thai elephant who just took her first steps on a brand-new, permanent prosthetic leg! Sadly, part of Motola’s leg and foot were taken in 1999 by a land mine, which exploded at a logging area near the Myanmar border where she was then working. Ten years later, through the efforts of the group, Friends of the Asian Elephant (Motola’s actual new leg was made by Human amputee organization the Prostheses Foundation), the 48-year-old girl is happy and walking again. We try not to let it happen too often, but this story really warms our stone-cold hearts. Oh man, it feels so weird.